Act quick this knife is a limited edition U.S. Farmer engraved collector's item! Makes a perfect gift or keep sake! 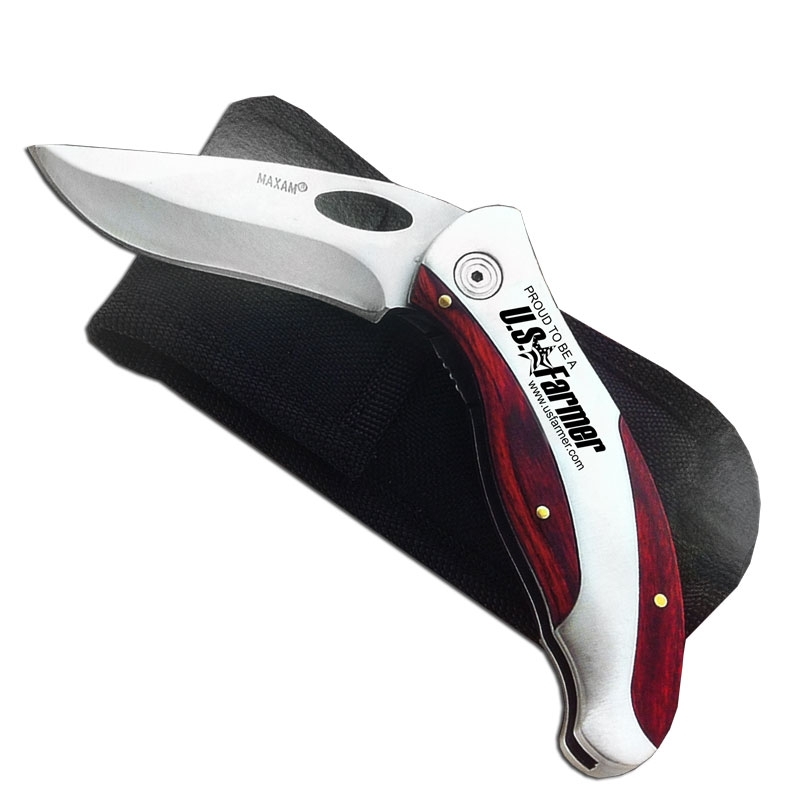 This officially-licensed U.S. Farmer pocket-knife features a honed locking stainless steel blade. The blade has a thumb-notch for easy/quick opening and also has adjustable tension and a locking-mechanism for safety. The durable stainless steel handle features an ergonomic handle-design with wood inlays. The U.S. Farmer logo is laser-engraved into the handle, not hot-stamped or screen-printed. This knife measures 7 3/4" when open and closes to 4 1/2". This knife comes with a durable sheath for storage.